I started this blog 16 months, hoping to develop my writing skills, connect with smart people around the world, and create a new income stream. By those standards it’s been a success. But more importantly, I’ve learned a lot. Namely, after 266 posts on the subjects of self improvement, motivation, and productivity, I can say without a doubt that life is completely and utterly pointless. That’s right. 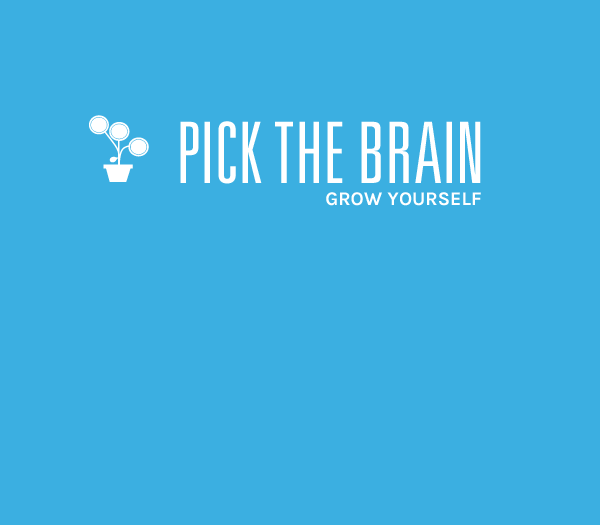 PickTheBrain is throwing in the towel. If you need me I’ll be embracing hedonism, sloshing around in my own vomit, and doing absolutely nothing to further myself or the human race. You’re going to die. No big shock here, but do you realize how many people fail to grasp the consequences of this? Even if you live some awesome life, make a ton of cash, and go down as the great person ever, all your accomplishments will eventually go to some undeserving brats and people will exploit your words and ideas to further their own selfish ends. Working is hard. I mean really hard. And it just never seems to end. It’s just one thing after another. More more more. If there’s no way to win life, what’s the point of trying? Most people are terrible, the others are faking. The more good I’ve tried to do, the more people jump up to insult me. And it works. That stuff really hurts. I’d rather be on the dishing end of trollish insults. Vice is nice. Really, it feels great. Have some pain? Take this. Feel guilty? Drink that. Indulging is the one act that has never let me down. It always delivers. That’s more than I can say for the law of attraction. Wow, I feel a lot better now. Or maybe it’s the liter of Jack Daniels I used to wash down a Wendy’s Baconator.